Where would the American home cook be without chicken? Whole chicken, fryer chicken, skinless chicken, boneless skinless. I would be willing to say that 4 out of the 7 nights a week you will find chicken on the table. That's why I am ALWAYS on the lookout for quick, simple, but flavorful chicken recipes. I love Lemon Pepper Chicken. 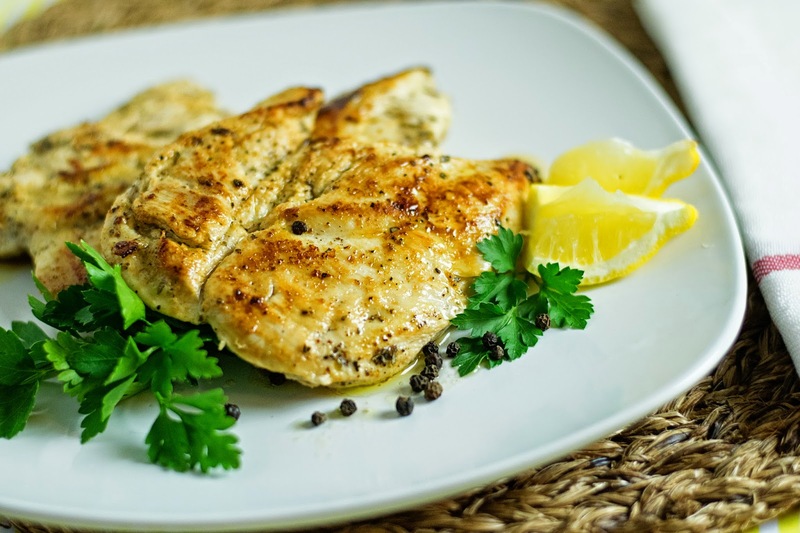 I will confess that, in the past, I would just season the chicken breast with some lemon pepper seasoning, fry it up in the pan, and call it done, but one day I was out of seasoning and I thought "There has to be a way to do this without the powder." So I went to my pantry to see what I could come up with. The result was DELICIOUS, and it couldn't be easier! I can't wait to share it with you so let's get started! To begin you will need to butterfly your chicken breasts. Basically you will want to slice it in half until it opens like a book. Next place the butterflied halves into a resealable bag. Massage all of the ingredients into the chicken, making sure all of the pieces are coated. Place in the refrigerator for 30 minutes to marinade. After 30 minutes place a skillet, with 2-3 tbsp of oil, over a medium/high heat and allow the pan to get HOT. Once the skillet is hot you can add the chicken. I would only add a couple pieces at a time to keep from crowding the pan. Let it cook for 4-6 minutes on the first side. The chicken will be golden brown and you will see that it is white half way up. Then flip and cook for 4 more minutes. 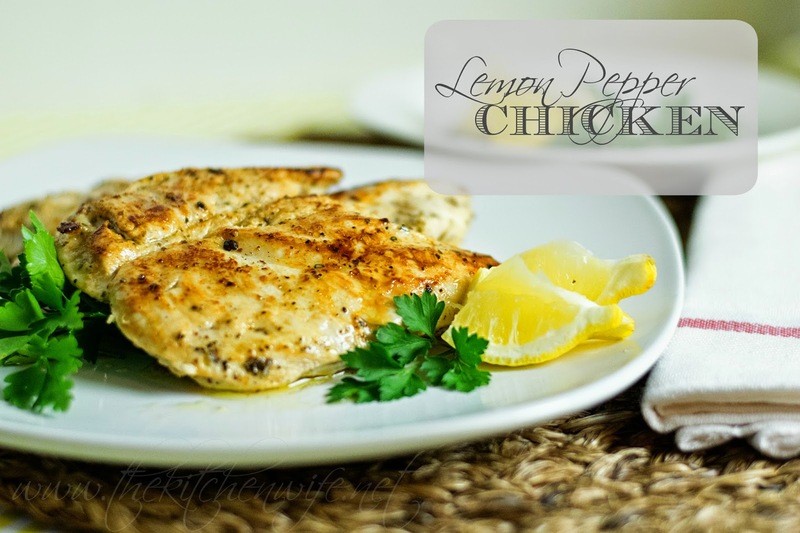 A beautiful Lemon Pepper Chicken entree that took next to no time and effort. I serve these with some oven roasted vegetables, or maybe a nice salad and bread. It is utterly divine. So the next time you find yourself wanting to try something new with your chicken, give this great recipe a try! Begin by butterflying the chicken breasts, cutting them in half so that they open like a book. Place the butterflied chicken breasts into a resealable bag. To the bag add the salt, pepper, garlic powder, thyme, olive oil, and lemon juice. Massage all of the ingredients into the chicken and place into the refrigerator for 30 minutes. After 30 minutes place a skillet with 2-3 tbsp of oil over a medium/high heat and allow to get hot. Once the skillet is hot add the chicken a couple pieces at a time. Cook for 4-6 minutes on the first side. Then flip and cook 4 minutes on the other.